B.R. 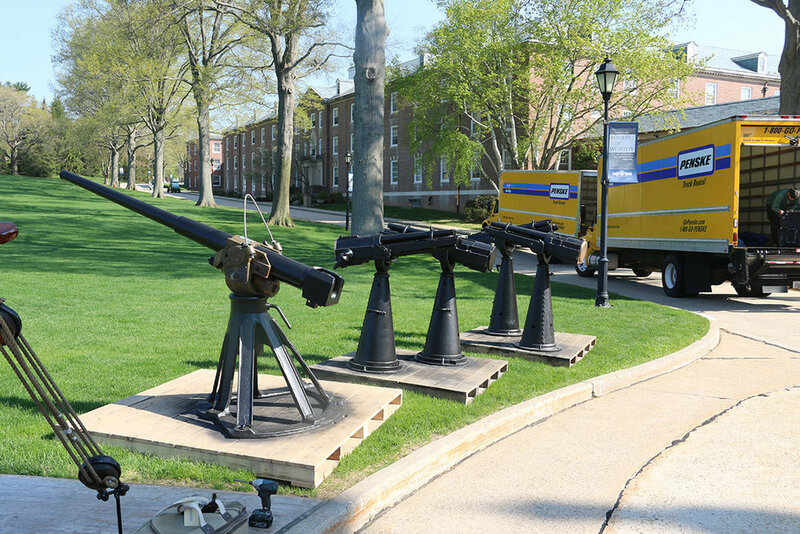 Howard was contracted by the US Coast Guard Academy in New London, CT to conserve and restore 4 cannon, 2 Hotchkiss 3lb deck guns, and 2 37mm Hotchkiss guns. 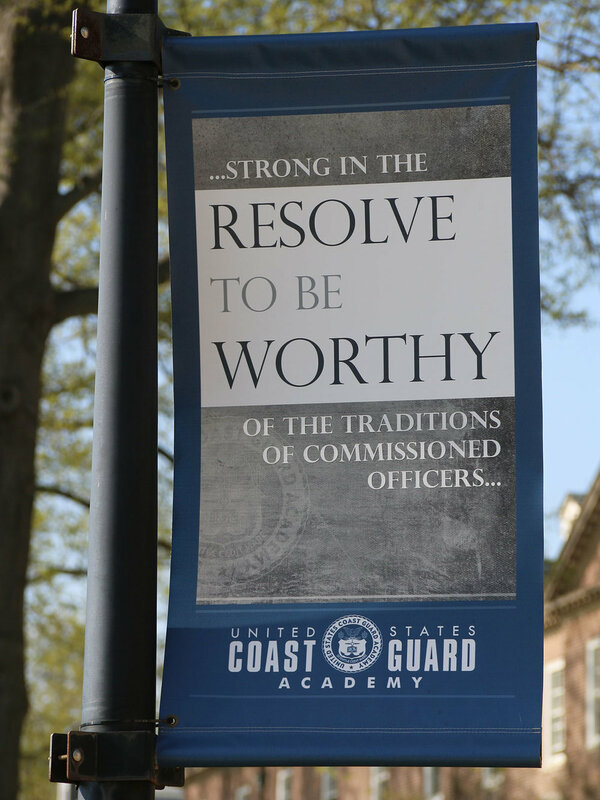 They had been displayed outside for many years and harsh New England weather had begun to take its toll despite ongoing maintenance that had occurred. BRH removed them and transported them back to our facility for an assessment, photo documentation and treatment. Two field cannons sat on wooden carriages that had severely rotted and were accurately replicated from historic drawings. The cannon tubes were cleaned and hot waxed. The 4 Hotchkiss guns were disassembled for treatment. 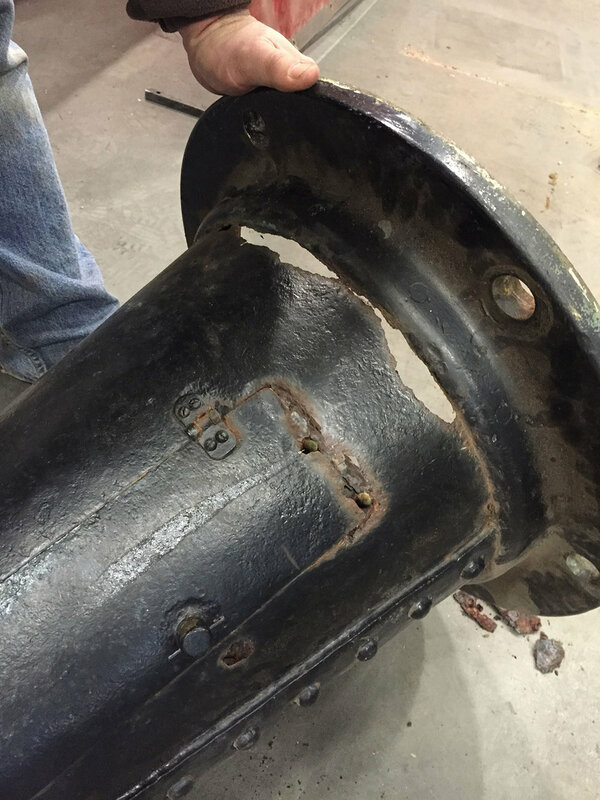 There were areas of corrosion which completely eroded through some of the base supports, fractures, and missing components found on the artillery pieces. The deteriorated metal was cut out and new sections were fabricated, fractures were repaired, and missing mechanisms were machined. 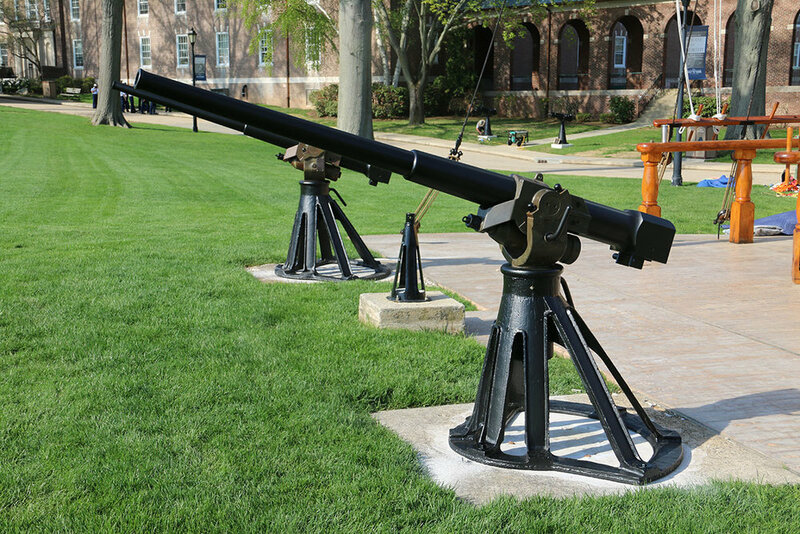 The guns were stripped, primed and painted using durable industrial coatings, reassembled, transported, and reinstalled at the U.S. Coast Guard Academy.